A dramatic and revelatory account of Joe Torre’s twelve years as manager of the New York Yankees. Joe Torre is the most successful–and most respected–baseball manager of the modern era, steering the Yankees to six American League pennants and four World Series championships. When he left the team in 2007, it was front-page news around the country. Famously diplomatic during his tenure with the Yankees, Torre finally speaks out about what it was like building and managing the dynasty during those twelve glorious and tumultuous years. 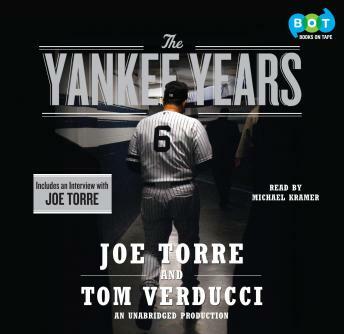 Written as a third-person narrative with Sports Illustrated Senior Baseball Writer Tom Verducci, THE YANKEE YEARS is a thoughtful, utterly honest, and gripping behind-the-scenes look at the Yankees organization from top to bottom.